Quilting Adventures: And the beat goes on.....! And the beat goes on.....! Ya know, all these new tools I have blogged about (here and here), they are really helping me finish my hand work. Goodness, are they doing a great job at keeping my fingers from getting sore. I can hand applique for long stretches at a time! I'm talking until I get tired of it and/or need a change of scenery! Penelope has also had a tire change, those new M & M wheels I bought at VQF! DH finally set aside some time to change them. So, I needed a quilt top to take those new wheels for a test drive. Given that the blocks were all done and that it was just a matter of piecing the top, I was able to quickly finished this little quilt! The Orange Peel quilt from Kathleen Tracy's book Remembering Adelia! Yea, those new wheels make such a difference! Smooth! 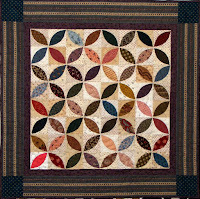 You know, I really like that I used scraps for make the center of the quilt. I'm slowly getting proficient at scrap usage! Thanks so much for stopping by my little corner in cyberspace! Cheers! I LOVE that orange peel quilt!!! It's on my someday list -- problem is, I can see it in SOOO many fabrics and I'm really torn between pastels, brights, a two color or civil war. Why oh why do I have to love them all???? I have never heard of M &M Wheels. I did a search and found a video where someone used them for machine quilting. Then I found a site where you can order them for a quilting machine for $240 which is a lot of money. Is that what you are using? Love the orange peels, that is a nice pattern and I am pretty sure I have a few in my books. It sounds like you are having fun too. I'm glad those new wheels have made such a difference for you. Scrap quilts are really some of my favorites. 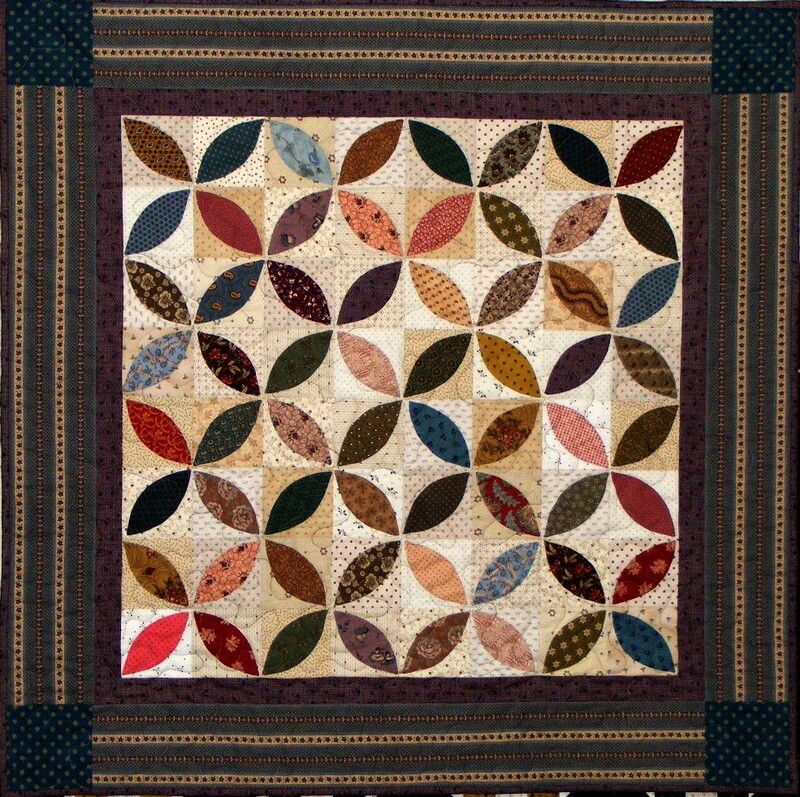 After all, I think that is really the roots of quilting. Love that little quilt...glad to hear you are having fun! The little quilt is gorgeous! Another Fat One bites the dust....! Guess what's on my design wall......? Vermont Quilt Festival - Antique exhibit......!